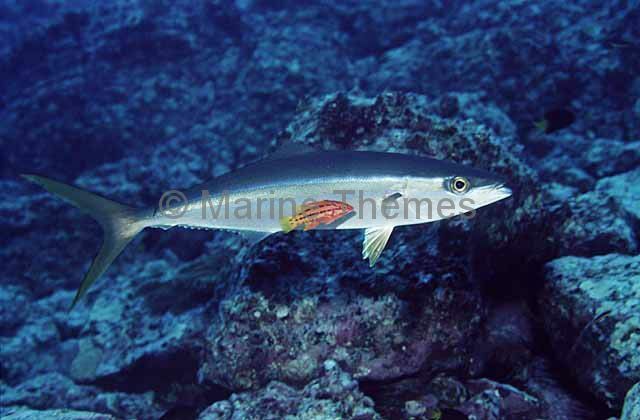 Rainbow Runner (Elegatis bipinnulata) school. 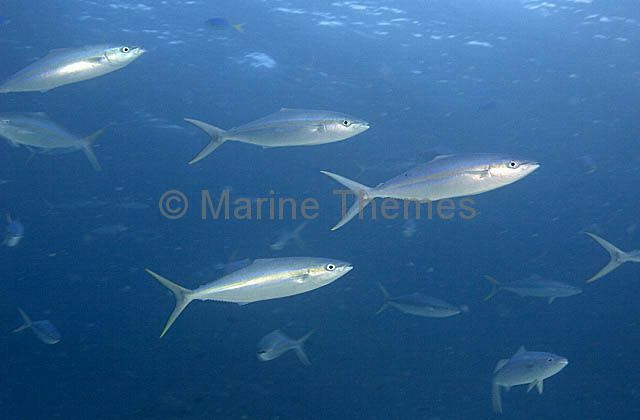 Rainbow Runner (Elegatis bipinnulata) hunting among small feeding fish. 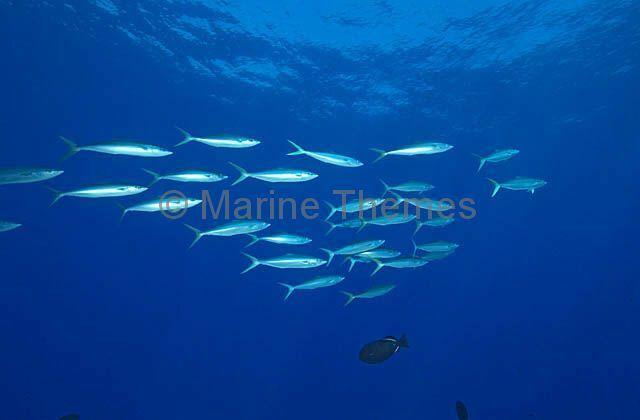 Rainbow Runners (Elegatis bipinnulata) school swimming in open water above coral reef. 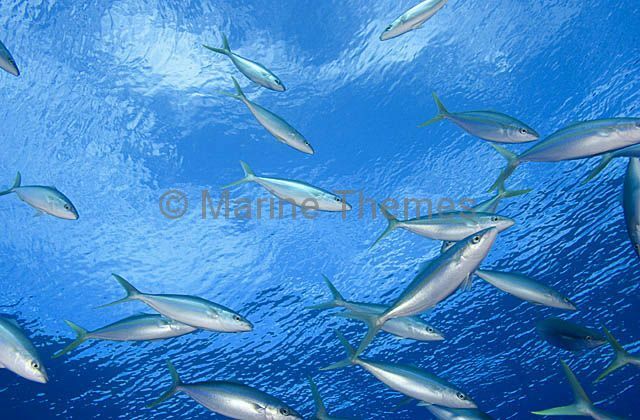 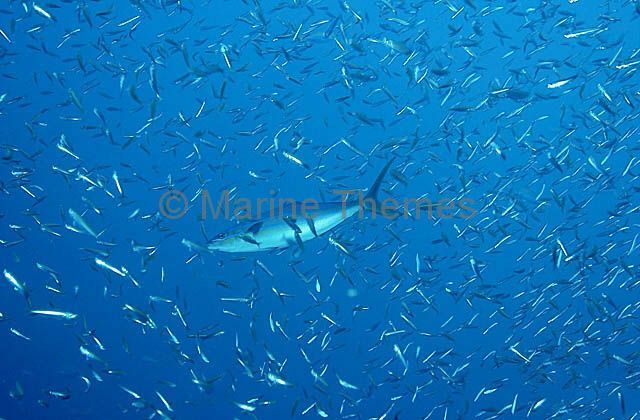 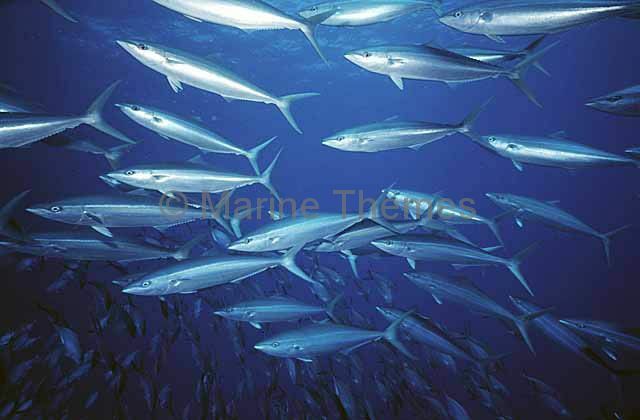 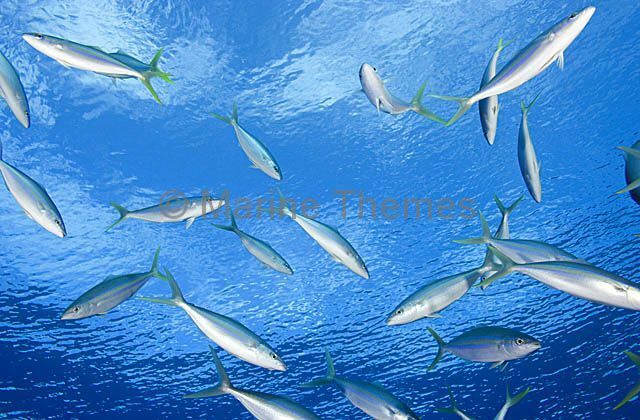 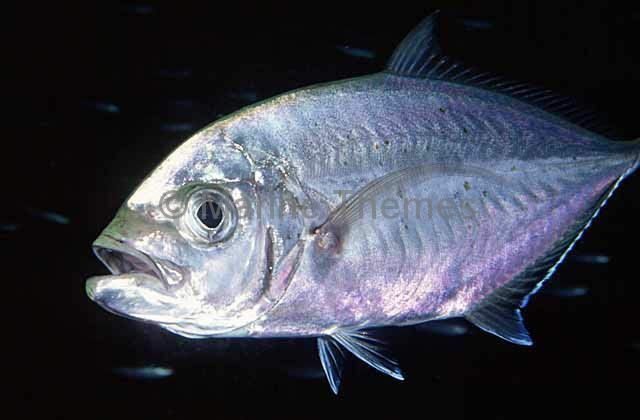 Rainbow Runner (Elegatis bipinnulata) school near ocean surface.